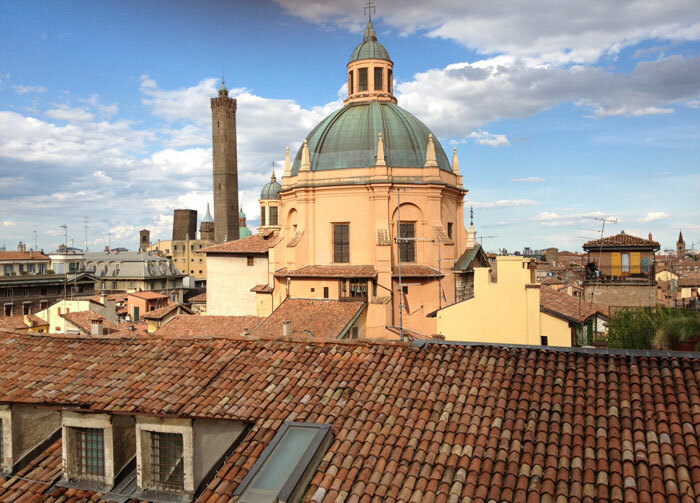 The dome of the Church of Santa Maria della Vita as seen from the terrace of San Petronio Basilica. 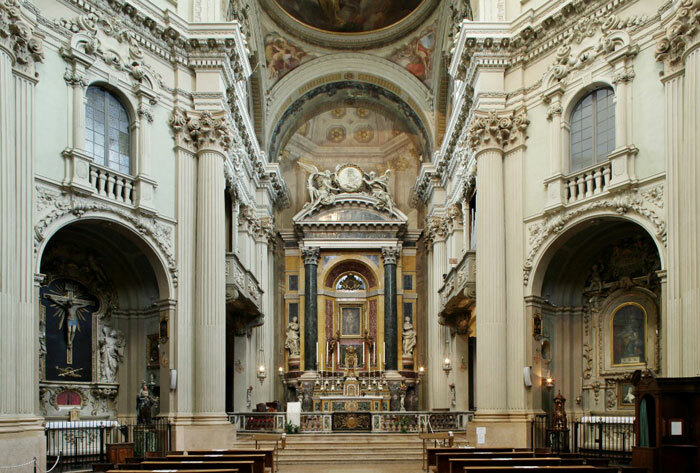 The Sanctuary of Santa Maria della Vita is the most important example of Baroque art in Bologna. It is located in the city center, in via Clavature 10, very close to the main square of Piazza Maggiore. The original church was built for the religious confraternity known as the “Compagnia dei Battuti,” active in Bologna as early as 1260, to offer shelter to pilgrims and treat the sick. The building was destroyed by an earthquake in 1686, but was subsequently completely rebuilt. The dome, designed by A. Galli Bibiena, was completed in 1787. Inside the church is the famous “Compianto sul Cristo Morto” (Lamentation over Dead Christ) by Niccolò dell’Arca (1465), a powerful sculptural ensemble composed of six terracotta figures surrounding the lying Christ. It is the largest collection of terracotta sculptures of the Italian Renaissance. ITALY Magazine ran a nice slideshow of the Compianto, which you can see here. This post is part of a weekly series to discover less-known cultural sites, travel destinations and local dishes around Bologna and Emilia-Romagna.